Spring 2016 collections saw a return to boyish accessories, annotated with novel baseball caps and boy scout neckerchiefs. Interpretation of these trends should be seamless, given their alluring versatility and the wide range of styles available. 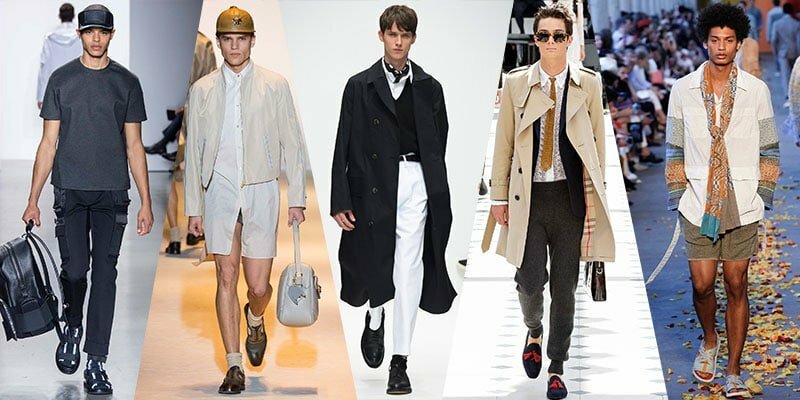 Below we break down four key accessories trends you should consider for your spring/summer 2016 wardrobe. 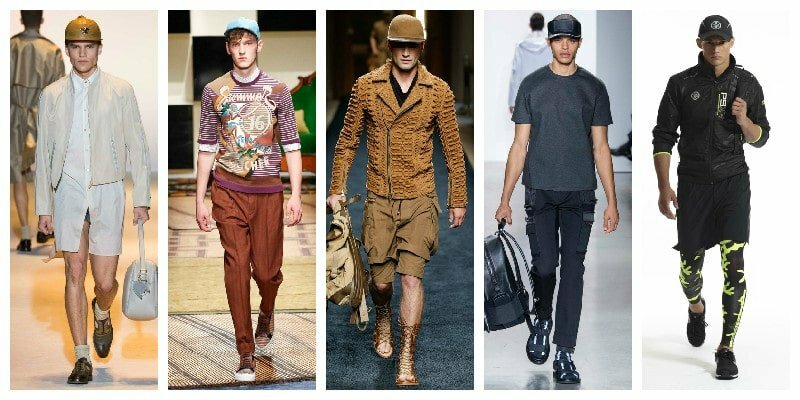 Keep things relaxed and laid-back with caps for casual spring/summer looks. Reference nineties street style with darker hues like Calvin Klein Collection and accompany white t-shirts with muted tan caps featured in Versace and Balmain. Switch things up with different shapes and tones. Tame your bed head with a washed out baseball cap to keep things casual and preppy or ground colourful looks with black and navy caps. 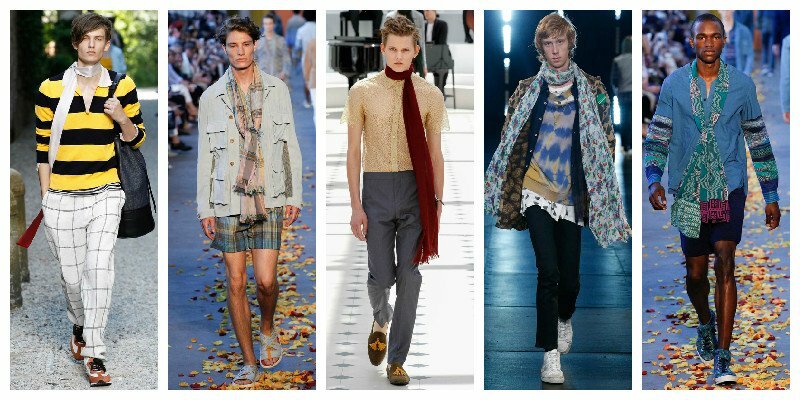 Bandana neckerchiefs were the accessory highlights in the Louis Vuitton, Margaret Howell and Hermes collections. 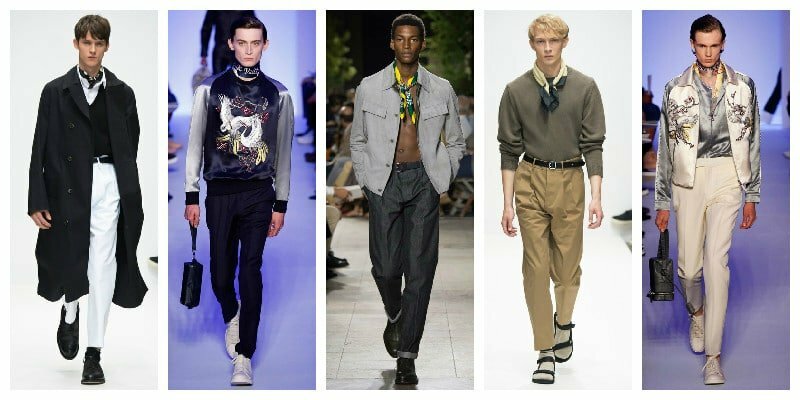 Interpret this trend with a loose fitting bandana, maintaining versatility by making its incorporation in your outfits more youthful and palatable for casual looks. Ensure your bandanas are longer and able to produce scout-worthy knots. Maintain casual, yet put together looks like the humble slipper. In a range of materials for spring and summer, the options are endless with the latest styles and shapes which provide a comfortable and polished finish. Keep things classic by pairing slippers with traditionalist trenches reminiscent of Burberry Prorsum or incorporate a slipper with more colourful, casual looks a la Moschino. 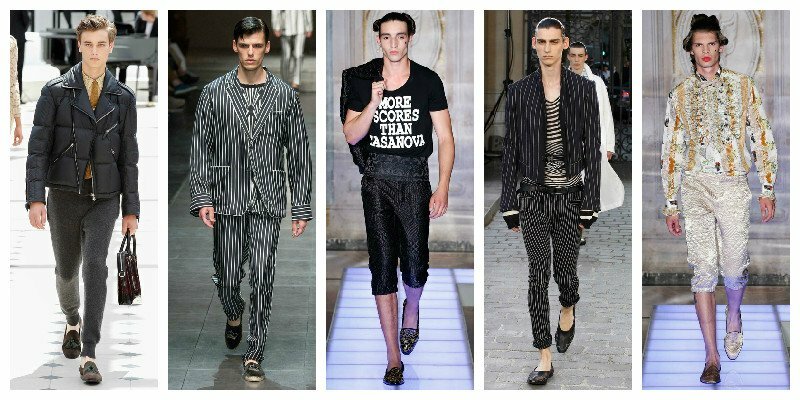 Keep trousers well tailored when trying out the slipper trend, maintaining the outfit balance. Wear the long scarf trend in versatile colours and thinner fabrics. Adapt long scarves for casual days or wear them with the more corporate looks. This accessory is a great accompaniment with trenches or light spring jackets. Choose vibrant colours to make a statement or opt for washed out patterns for laid-back spring day looks.